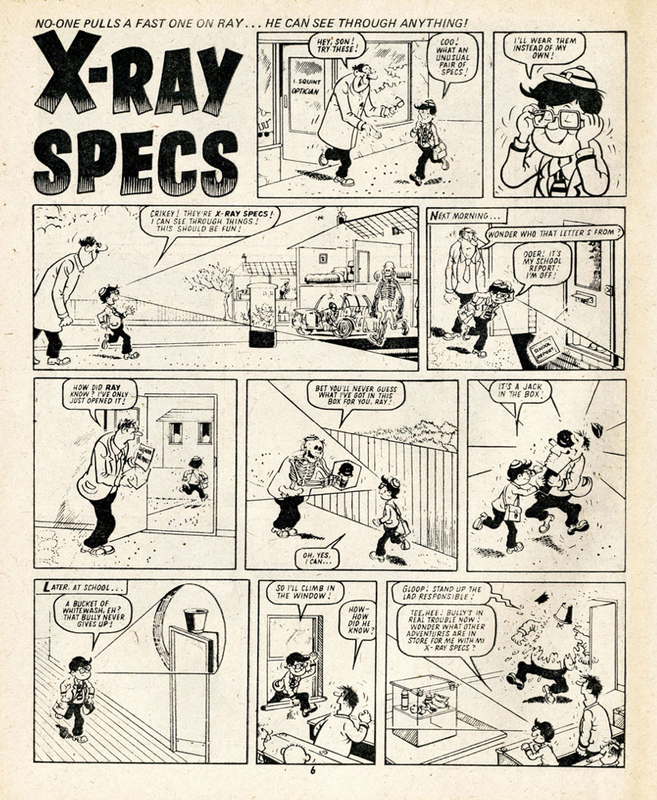 Managing Editor Leila Johnston remembers the influential comics of her childhood, and wonders when digital will settle into a new approach for the art form. I grew up reading comics. For a period, when I was a child in the 80s, my family lived on a campsite. I got 20p a week pocket money. 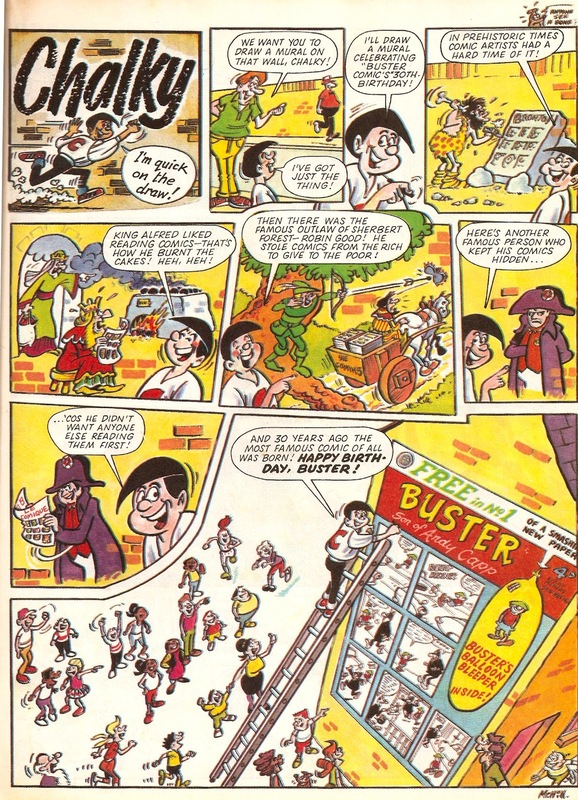 This was enough for a Beano or Dandy, which is fine if you understood the class references in Lord Snooty and the 1930s gangster jokes behind Babyface Finlayson, but the best strips – the most daring and relevant for the youth of the late 80s – were in the more expensive, ‘glossy’ publications: Whizzer and Chips, Buster, Nipper, Whoopee and of course Big Comic Monthly. Luckily I had access to a games room on the campsite which was stacked with wonderful (and mostly quite out-of-date) comics. They were my chief source of entertainment, and I eventually devoured them all. You are what you eat – and for me, reading fun, slightly subversive publications lead to making fun, slightly subversive publications. And here we are. In a way, those stacks of comics in the games room encapsulated the time of their creation partly because they were destined to decay. They were part of the physical world: each one its own little ‘platform’, serving up dozens of triumphant worlds of kids with strange and amusing powers. Digital locations shift and change and might tear stories from their moorings in the process, but they contain at least the hope of longevity in abstraction, and the sense of displacement, and the reduction of comics to the content of their strips is the price we pay for that. Comics are interesting because their cheapness and frequency suggests they are throwaway, but in reality they are always part of something much bigger. For example, the fact that physical comics are numbered reminds us that each instalment is just one of many – each one part of something that had a beginning, now has multiple units, and may one day have an end. So however bad they are, they are collectable, and always have within them the potential value of a collection. The internet can’t quite parse the peculiar value of a physical collection. It understands what goes in – it gets ‘content’. But when it comes to gradual accumulations: the pursuit of parts of a world, the investment of time, the chase, digital can only offer shortcuts. Reading comics isn’t just about funny little vignettes and characters, it’s a sort of world-building game. It’s much more difficult to find things in the real world than on Google, and there is a value in difficulty. Perhaps the internet removes a large part of what it means – or meant – to enjoy comics. It’s easy to become misty eyed at this point, but let’s assume things are shifting and changing rather than declining. The internet comic world is a different beast to the paper stack. It’s not just a digitised version of the same thing, it’s something completely separate that demands different behaviour from its readers; different impulses, a different kind of world-making. You can’t buy tumblr webcomics with your pocket money and there’s no point trying to collect virtual things when the collecting has already been done for you by an algorithm somewhere. You can Google your favourite characters, but scans split them from their friends, leaving each strip decontextualised, totally alone. But there are other valuable and fun things that can happen with the collision of digital and graphical. As one thing passes, other things rise up in their place. We are currently witnessing a struggle, but there will be victors, just as there always are at the end of all the great comic strip battles. I’m sure those old campsite comics have since been thrown away, but I hope that as we move away from the physical someone, somewhere has saved a few of those influential publications. In fact, despite everything, I hope they have been scanned and archived on a blog somewhere – at least giving hope of permanence. 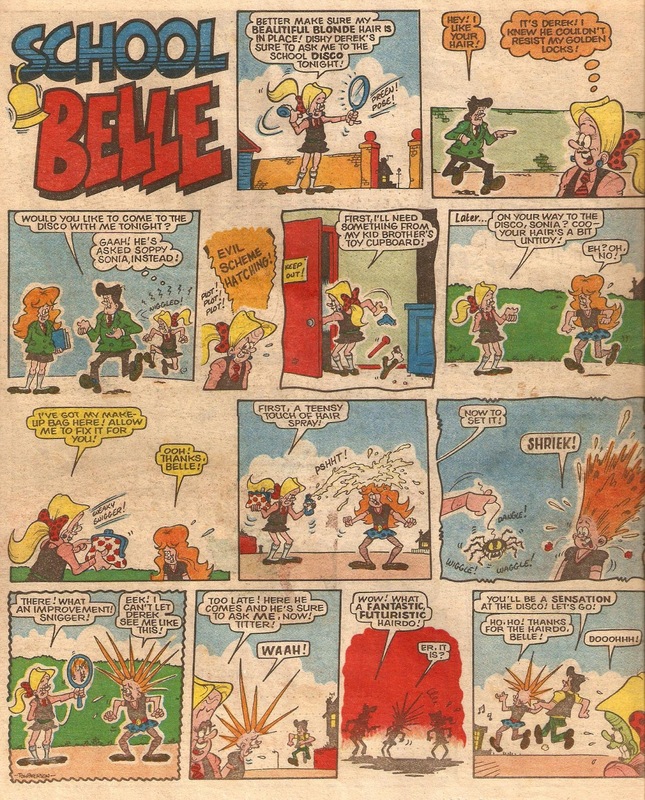 Because the sci-fi storylines of Faceache and X-Ray Specs, the infinitely creative world of Chalky, and the glamorously spiteful School Belle all contributed to what I am, and what I do, today – and I’m sure I’m not the only one.